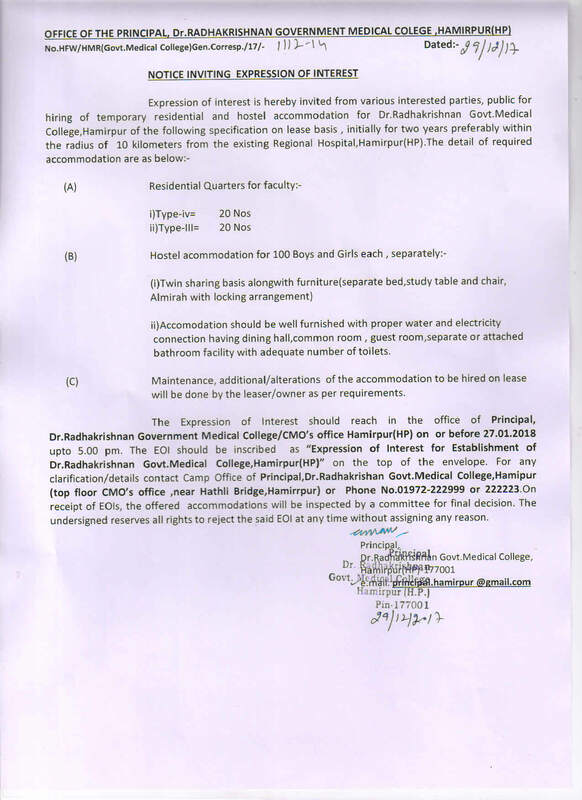 Order regarding constitution of Research Cell. Regarding information on website under RTI Act. Joining reports of faculty and orders of constitution of various committees of Dr,RKGMC Hamirpur for uploading on the website. 1. 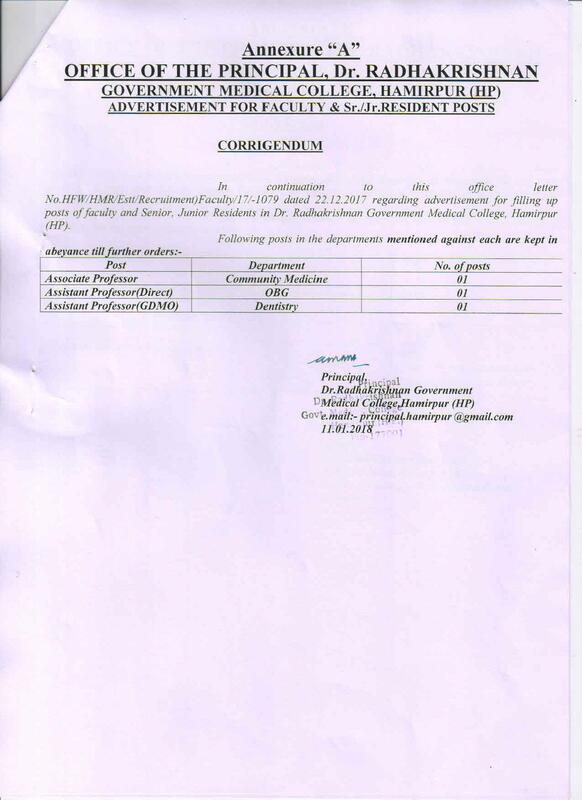 Regarding advertisement for selection of faculty i.e. Prof., Assoc. Prof., Asst. Prof., Tuters, Sr./Jr. 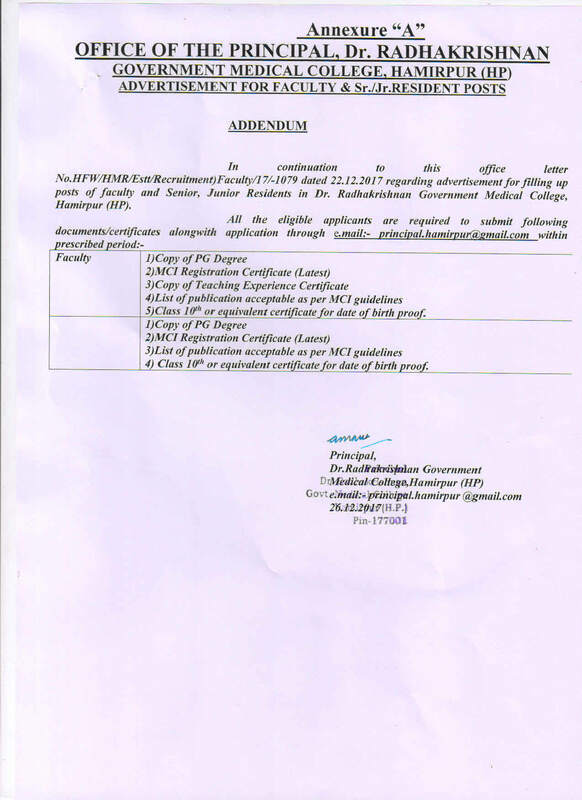 Residents inDr.Radhakrishnan Govt.Medical College,Hamirpur --Corrigendum(s) thereof Annexture "A"
Advt. 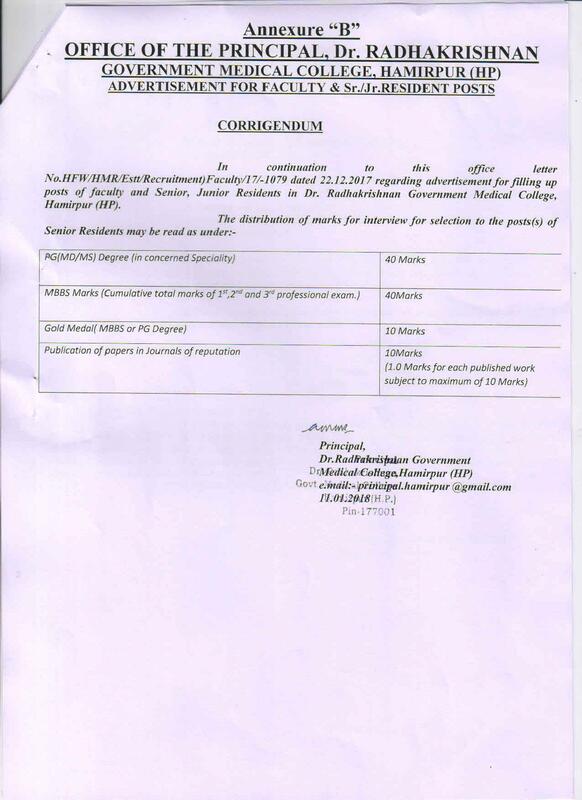 for recruitment of faculty & Residents for Dr.Radhakrishnan Govt.Medical College,Hamirpur--Addendum thereof. Last date for receipt of applications has been fixed as 15.1.2018.